Awareness for Interstitial Cystitis is important because this is a debilitating disease where patients often do not get diagnosed or get misdiagnosed due to lack of awareness among doctors, nurses, health workers, and the general public. This is a rare autoimmune chronic disease that causes unbearable pain, burning, urine frequency (almost 30 times in a day), urine urgency and turns the life of the patient into a nightmare. Why is it important to raise awareness of rare diseases in general? Rare diseases are frequently debilitating, and patients may face additional challenges because of limited knowledge. Symptoms of rare diseases may resemble those of more common conditions, which often leads to a significant delay in getting a correct diagnosis. For example, IC is always confused with chronic urinary tract infection. Even after a diagnosis is made, treatment options can be inadequate; they are often very expensive, unavailable in certain countries or may require high levels of palliative care. IC drugs and therapies are extremely expensive. Many patients from the lower income group often discontinue their treatments due to financial pressure. The good news is that research into rare diseases is focused on looking for ways to better diagnose, treat, reduce the financial burden and cure rare diseases. However, it can be particularly challenging because of limited funding, small patient groups and the need for international collaboration. The insight that patients provide and the impact they have with their commitment to raising awareness of rare diseases should not be underestimated. Patients can actively get involved in the research process by engaging in planning studies, raising funds and connecting to form patient networks. They can also directly contribute by reporting health outcomes and providing indispensable samples for research, which might be the only source of data for some diseases. By raising awareness about Interstitial Cystitis, we can improve early diagnosis, encourage policymakers to increase access to services and fund research, as well as reduce the feelings of isolation or the discrimination faced by patients. 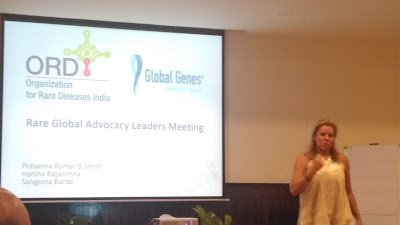 How to raise awareness about IC in India? Like any other rare disease, awareness is the key to diagnosis in case of Interstitial Cystitis. Numerous patients go undiagnosed in India as there is very little awareness among doctors, nurses, health workers, and the general public. Whenever a patient gets the symptoms he/she goes to the General Practitioner (GP) and most GPs are completely unaware of this condition. Female patients go to gynecologists and kids go to the pediatrician and again the same story of lack of awareness is repeated. Only urologists have a fair knowledge about Interstitial Cystitis but they suffer from different prejudices. Many Indian urologists still consider IC as a Caucasian disease and firmly believe that it doesn't affect Indians. Another set of Urologists feel that this is such rare condition that it can never occur to any patient. Thus, most patients get treated for chronic urinary tract infections with very little or no cure. The worst doctors are those who think that this is an imaginary condition and patients are just imagining their pain. India is not the only country where patients are not believed. IC patients all over the world have faced this kind of situations where they were told that they have no pain and it is their figment of the imagination. The biggest struggle for an IC patient in getting diagnosed is to convince her/his doctor about the symptoms. Most doctors are not convinced and they lack compassion. When the doctor refuses to believe the patient then automatically no one else believes them. They are then referred to Psychiatrists and family members also start disbelieving and feel that the patient is faking the pain. This is undoubtedly the most unfortunate thing for any patient. IC is not only a rare disease it is also an auto-immune chronic condition that is debilitating for the patient and therefore it is extremely important to show compassion to these patients. 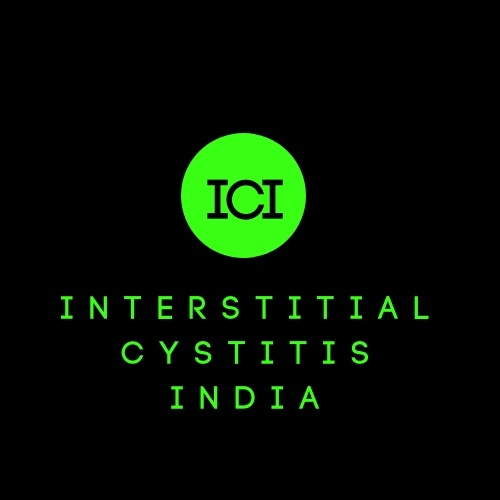 We are trying to raise awareness through Interstitial Cystitis India. We have collaborated with various national and international groups to raise awareness and hopefully in near future IC patients will find relief. It saddens me to think that doctors, in this day and age, perpetuate the myth that they are godlike authorities who, if they say "It's all in your head," or "There's nothing wrong" will consider that an end to the discussion, dismissing a patient's pain and stigmatizing them as a mere whiner or hypochondriac. That used to be prevalent here, as well, but we're learning to challenge that and advocate for our own healthcare needs. Slowwwwly. Awareness is key - for both patients AND healthcare professionals. Thank you so much for reading this post and leaving such an inspiring comment. I know even in US the situation of rare disease patients are no better but as you said they have better advocacy to deal with it. I hope it change in my country as well. A relative had been suffering from some sickness that the doctors were not able to treat. it took her months of suffering in pain, trying to convince one doctor after another to take a good look at her tests until she was finally treated. Doctors need to go to the root of a health issue, for sure. But, just reading about this disease (urine frequency at 30 times/day!) made me wonder about the kind of life the patients must lead! Sad, indeed!